Anyone who is expecting home prices to fall with Moshe Kahlon as Finance Minister will be sorely disappointed, claims industry expert. If you expect real estate prices to begin falling as soon as Moshe Kahlon takes office as Finance Minister, think again, says Nissim Bublil, President of the Israel Contractors Association. “2015 is a lost year for prices, and don't expect much improvement later on,” he said at a real estate industry event Wednesday. 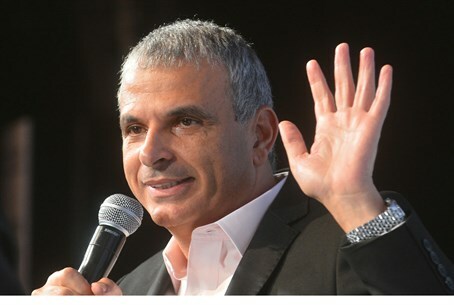 The central plank in Kahlon's plan – raising the purchase tax by tens of percent for investment homes – is unlikely to bring prices down either. Many of the homes bought as investments are in high-line projects aimed at Jews from abroad, and ordinary Israelis are unlikely to buy them, so the “normal” housing market in Jerusalem or the Tel Aviv suburbs will continue to remain tight. Another reason why prices are unlikely to fall, Bublil asserted, is because real estate has proven to be one of the only reliable and safe investments that has been appreciating. With stock markets overvalued and interest rates next to nothing, many will continue to invest in real estate, with the cost of Kahlon's new taxes just tacked onto the price of a home – thus making homes even more expensive, he added.